They make their own music videos or rally in their friends at the camcorder-obsessed production team Youth Hymns YH website LINK. 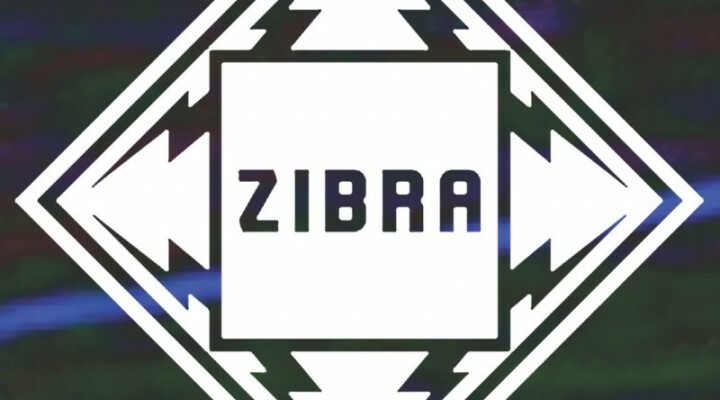 ZIBRA turned their love for taking electrical objects apart to re-arrange and put them back together again, honing their unique sound and making their own synths. The band are currently in the studio working on new music with Simon Katz (Youngblood Hawke, Digitalism, Chiddy Bang) and Mark Ralph (Clean Bandit, Years & Years). Dwfm : Before Zibra did you perform in pubs / clubs? Sam : Before I was in and out of random bands, playing with friends for a long time, I was on guitar a lot. Then I started discovering electronics, when building electronics turned into actually making electronic music I decided to make Zibra. That was about two years ago. Dwfm : Was vocals always a part of your music or is it a recent thing? Sam : I’ve always been singing. I started playing guitar and singing in bands and writing music for them. I kind of took a back seat and played guitar and did backing vocals for a while. Then came back up and just decided screw it I’m going to sing more. Dwfm : Is it a passion for you where you love your unique sound, the feel, the look, even the way you create your videos? Sam : The main reason is, I got bit tired of the modern way of things. Everybody’s jumping on the wagon of new stuff, new stuff. I’m sick of things like slow motion on videos, high definition and wide angle letterbox videos. It’s just easier to have an idea that stands apart from the crowd in the modern time, by going older is the easiest way I think. Dwfm : Where has your influence come from, as far as wanting to use old equipment for filming / editing? Most people like to use modern cameras, high spec computers etc. Sam : It’s a weird one. My favorite thing is going to a car boot sale and getting the stuff, it’s a lot cheaper and you can get a lot more. I really like learning how it all used to be. Right now I am learning how to make computers out of relays. I want to work out the foundations and roots of where things should be coming from. Dwfm : Tell us a little about your background. Your musical influences etc. Sam : I started off listening to my parents music, like everyone does really. Driving around in the car listening to Cd’s like ‘Oasis’ ‘Ocean Colour Scene’ and ‘Human League’. I went through a phase listening to death metal and stuff. Dwfm : Where did you grow up? Sam : Peterborough. I’ve lived in London for about 5 years now. Dwfm : In your opinion what’s the best invention? Sam : I love the discovery of how sound can be translated to the solid for speakers and how it’s all recorded. Dwfm : Name something you haven’t done but you’d like to? Sam : I want to get a tattoo, oh no that’s a lie. I had a big unhappy face on my inner lip but it’s faded now. But as for things I haven’t done I’d like to fly a plane. Dwfm : So what’s coming next from Zibra, singles, EP or you going straight into an album? Sam : Well we finished the EP that we’re releasing in about a month and the album is almost finished as well. Dwfm : What’s the EP called? Sam : We’re calling it EP 1000. It sounds like a Chinese mass produced product, like a robot or something. I think we’re going to try and keep it that way for forward releases as well. Dwfm : I watched your videos without listening to the music to gain a different interpretation, for example your song ‘Heartache’ to me it’s like watching a horror and listening to a love story, is that about right? Sam : I guess so. We didn’t really think about that connection. I like not having a connection with the videos and the song, it’s good to have two different things really. It’s not really a love song, Jesus I thought I’d never wrote a love song, but that’s a love song isn’t it. Oh crap haha! Dwfm : You’ve dabbled with lots of things, like photography, repairing electronic equipment. Is there anything else you like to try? Sam : I’d like to try some kind of extreme sport. I do dirt jumping on a BMX I’ve been doing that since I was young. I want to get better at that. Dwfm : Explain a little about how you got the name ‘Zibra’. Sam : It sounded like an American saying Zebra, it’s not funny it’s just different to what we’re used too. There is already a band called Zebra and we was like lets call it Zibra. Sometimes there’s band names that you hear and you automatically know what they’ll be like, stuff like that. It was about trying to find a name that was going to be bit more non descriptive. Trying to get something that sticks in the brain. Dwfm : What do you use for filming and editing? Sam : ‘Heartache’ and ‘Chlorine‘ was done by friends called ‘Youth Hymns‘ we both had mutual respect for it. It’s shot on VHS, then edited and then put through a VHS player again so the edits still look VHS. It’s got to go through the VHS a few times to get that look. Dwfm : Did you use a remote control car with a camera attached, to film ‘Loneliness’? Sam : Yes. There’s a few more things we’d like to try, like strap a GoPro to a dog. Dwfm : Who did you last listen too? Sam : Last night ‘Human league’ and ‘Crystal Fire’ I can’t remember the song but it’s been in my head all day. Dwfm : People describe your genre as ‘Glitch Indie’ is that the direction you’re heading for now? Sam : Yes there’s a lot of glitch. Some of the songs that are coming out are a bit more about the song as well. It’s slowly getting more [songy] but it’s keeping the sounds, a lot of the cut up high vocals have come quite a characterful thing. Dwfm : Where do you guys rehearse or is it last minute thing? Sam : We rehearse a lot in Nero’s in Camden and the university of Harrow. All of the writing and stuff seems to happen when me and Russ are together or when I’m alone. The songs don’t come from a jam situation. Dwfm : Do you think you’ll ever release anything on vinyl? Sam : I hope so. It be good to have something on vinyl. Maybe one day. Dwfm : Knowing you you’ll buy something to make your own vinyl? Sam : Oh I’ve been looking in to that. It’s too expensive to make it reliable enough. I made a 3D printer before out of some DIY stuff and old scanner, but it was rubbish. Dwfm : What’s the best advice you can give to anyone starting out? Sam : If it feels unnatural with going with the mass, just do what you think is right and honestly right. Even if you think it’s not cool, or you think it’s not what everybody’s going to like. Stick to your ideals and keep going and do it all the time, stay strong to yourself. This entry was posted in Interviews, Introducing and tagged chlorine, EP 1000, loneliness, youth hymns, zibra. Bookmark the permalink.